The environment of space is modelled in a simple yet effective way. Temperature is calculated using the direct solar flux, the indirect solar flux bouncing off from celestial bodies, and the radiative infrared cooling of their surfaces. The simulation of the latter is especially interesting, and contrary to popular models it is able to reproduce satisfatory results for both atmospheric and atmosphere-less worlds. Radiation is implemented using an overlapping hierarchy of 3d zones, modelled and rendered using signed distance fields. 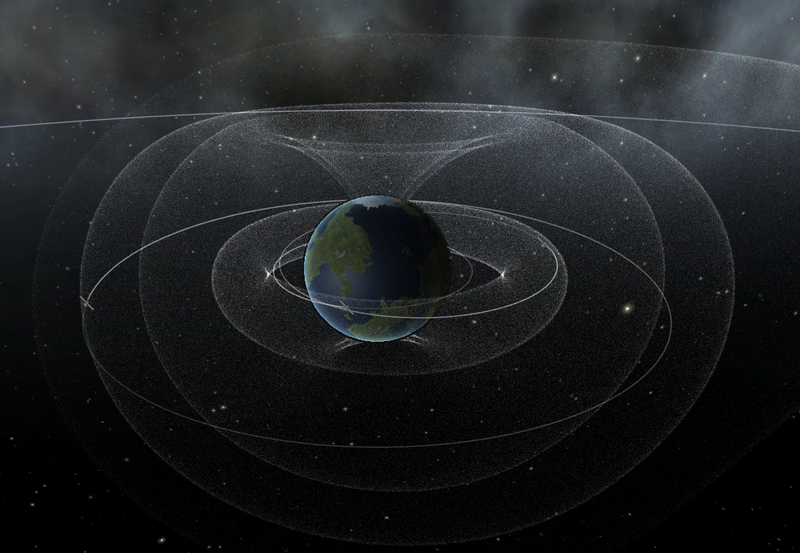 These are used to simulate inner and outer belts, magnetospheres and even the heliopause. Solar weather is represented by Coronal Mass Ejection events, that happen sporadically, increase radiation and cause communication blackouts. The habitat of vessels is modelled in terms of internal volume, external surface, and a set of dedicated pseudo resources. These elements are then used to calculate such things as: living space per-capita, the pressure and co2 level of the internal atmosphere, and radiation shielding. 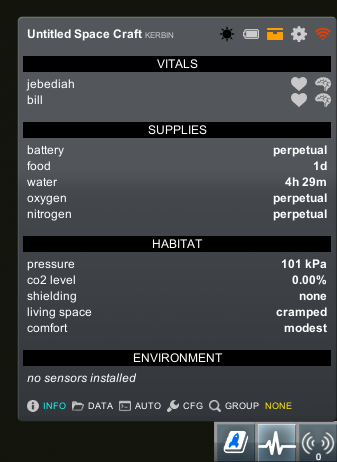 Individual habitats can be enabled or disabled, in the editor and in flight, to reconfigure the internal space and everything associated with it during the mission. 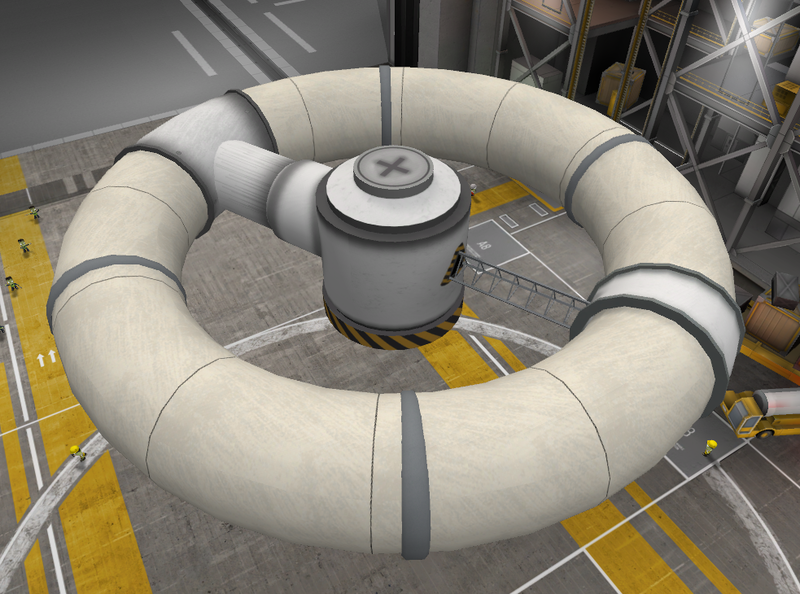 Inflatable habitats are driven directly by the part pressure. Your crew need a constant intake of Food, Water and Oxygen. Failure to provide for these needs will result in uncerimonious death. Configurable supply containers are provided. 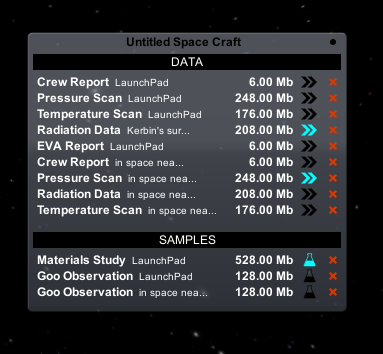 Your crew evolved in particular conditions of temperature, and at a very low level of radiation. 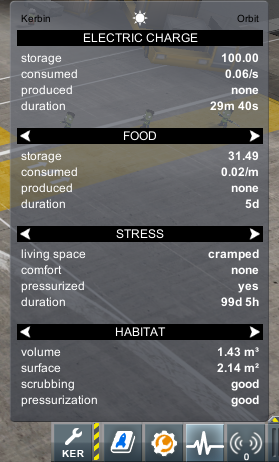 You should reproduce these conditions whenever your crew go, no matter the external temperature or radiation at that point. Or else death ensue. The vessel habitat can be climatized at the expense of ElectricCharge. Environment radiation can be shielded by applying material layers to the hull, with obvious longevity-mass tradeoff. The stock ISRU converters can host a set of reality-inspired chemical processes. The emerging chains provide a flexible and at the same time challenging system to keep your crew alive. 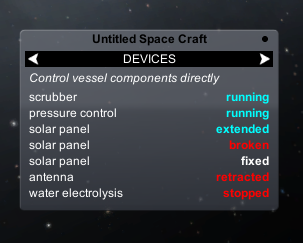 The stock ISRU harvesters functionality has been replaced with an equivalent one that is easier to plan against, as it is now vital for long-term manned missions. The means to harvest from atmospheres is also present, given the importance of atmospheric resources in this regard. A planetary resource distribution that mimick the real solar sytem complete the package. Components don't last forever in the real world. This is modelled by a simple system that can trigger failures on arbitrary modules. Manufacturing quality can be choosen in the editor, per-component, and improve the MTBF but also require extra cost and mass. The crew can inspect and repair malfunctioned components. Redundancy become a key aspect of the design phase. An alternative to the stock CommNet system is provided. Theres is a difference between low-gain and high-gain antennas: the former used for short-range inter-vessel communications, the latter always implicitly pointing at DSN. Transmission rates are realistic, and scale with distance to the point that it may take a long time to transmit data from the outer solar system. Data transmission happen transparently in loaded and unloaded vessels, as usual. 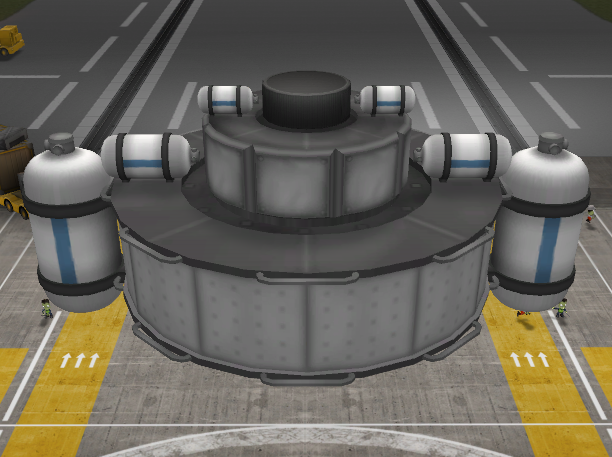 The resulting communication system is simple, yet it also results in more realistic vessel and mission designs. Tiny hypnotic science-blue spheres travel the link lines to represent data transmission. This mod is released under the Unlicense. - the background data transmission work with Signal, CommNet or RemoteTech. science experiment definitions for the geiger counter, thanks BashGordon33! improved planner calculations, thanks Barrin!